Nikola Tesla (1856-1943), credited as the inspiration for radio, robots, and even radar, has been called the patron saint of modern electricity. Based on original material and previously unavailable documents, this acclaimed book is the definitive biography of the man considered by many to be the founding father of modern electrical technology. Among Tesla's creations were the channeling of alternating current, fluorescent and neon lighting, wireless telegraphy, and the giant turbines that harnessed the power of Niagara Falls. 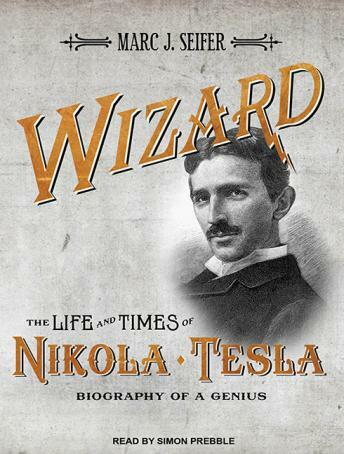 Enjoyed the book and the authors read of Tesla's life long struggle for recognition. The persons of J. P. Morgan and Marconi. The debate on Tesla's contributions to science continue even today - see Wikipedia. At 22 hours in length I found the book to be a bit tedious at times.